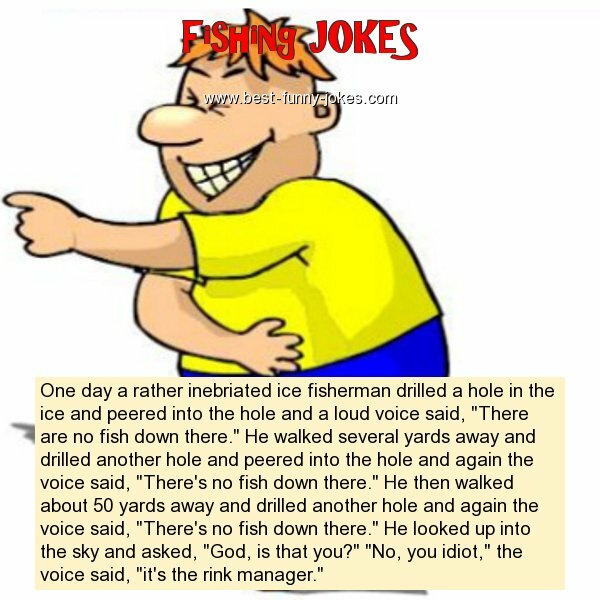 One day a rather inebriated ice fisherman drilled a hole in the ice and peered into the hole and a loud voice said, "There are no fish down there." He walked several yards away and drilled another hole and peered into the hole and again the voice said, "There's no fish down there." He then walked about 50 yards away and drilled another hole and again the voice said, "There's no fish down there." He looked up into the sky and asked, "God, is that you?" "No, you idiot," the voice said, "it's the rink manager."